My block in Brooklyn is adorable. Every year, twice a year they have a block party where they close down the street and grill burgers and invite the whole block. When the email went around for volunteers I jumped at the opportunity to make a cake. Which I did. A very large cake. It’s a bit hard to tell from the picture but this cake was huge. It was an 8″ cake, 4 layers. 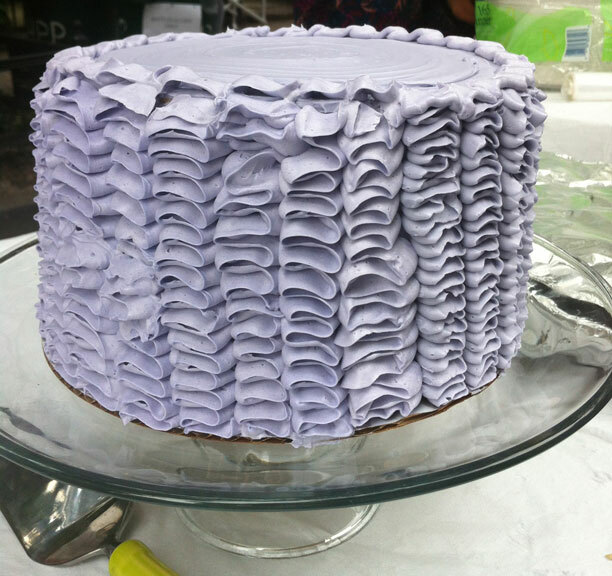 I made this really pretty lavender colored buttercream and did this ruffle effect that I had only tried once before and was dying to try again. I think it came out really well. 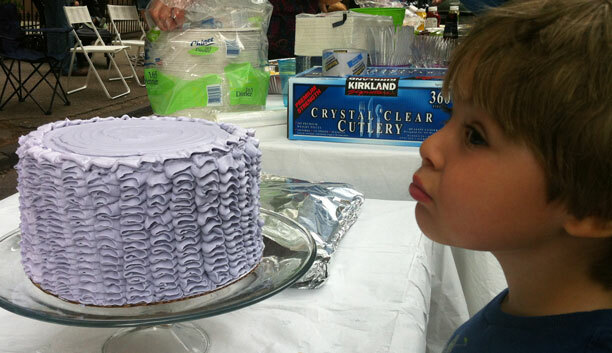 My buddy Paxton was very anxious to try the first piece and kept telling me that the cake was ready to be cut! He officially got the first slice. 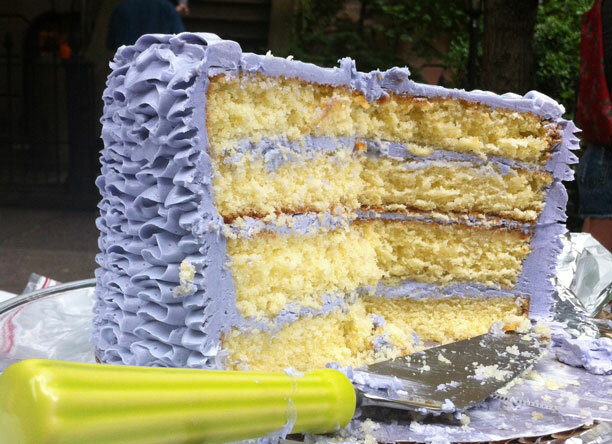 The cake was vanilla butter cake with vanilla buttercream. It was a big hit and got completely demolished throughout the day. It’s so great to have wonderful neighbors who like cake!